The British are not very good at death. 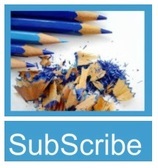 We don't like to talk about it, we don't like to prepare for it, and we don't know what to say when confronted with it. Obituary editors deal with it all the time and so are an exception; news folk have learnt how to report death on the battlefield, but can be overcome with sentimentality where children are involved or with outrage in cases of murder. 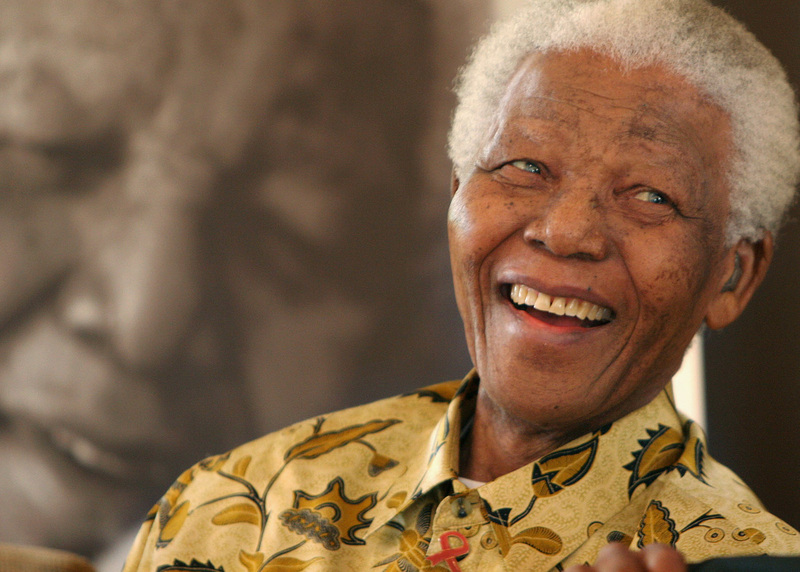 Few have found the right formula for when someone moderately important or famous dies. If it is an MP, the story will focus on the resultant by-election. If a scientist, literary writer, opera singer or conductor, the chances are they will get at best a paragraph - possibly more in the Guardian or Independent - on the news pages, cross-reffing to the obit. Sportsmen and popular entertainers do better, but there are pitfalls. Actors are muddled with their screen characters, comedy stars are seen off with their catchphrases. News coverage tends to start with the dread phrase "Tributes were paid last night to..." followed by a series of generally meaningless quotes. Reviews of their lives are rarely enlightening (unless they have had a colourful love life and married half a dozen times), and often descend into discographies or lists of the programmes, plays, films in which they had appeared. The reader comes away feeling unsated and turns to YouTube or their own record collection to fill in the gaps and recreate their own memories. 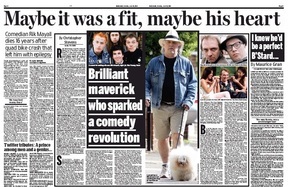 With Rik Mayall the absence of a cause of death made the coverage emptier. I found myself shouting "Tell us how he died" at Eddie Mair on PM. It took the programme half an hour to say that no one knew. 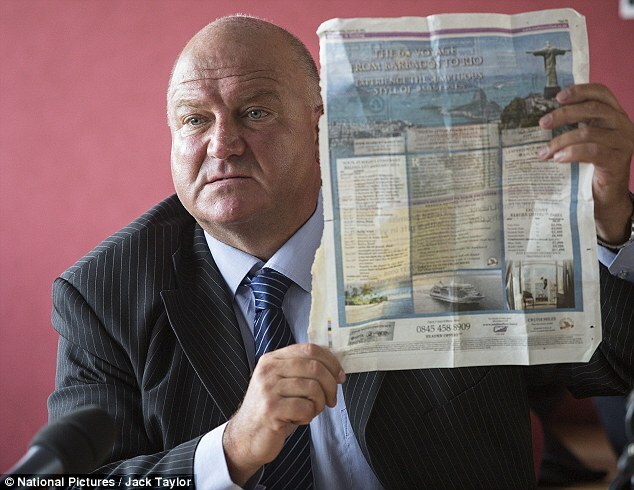 For the newspapers then, the "news" element could be told in a sentence or a front-page picture caption: he was dead, he was 56, his wife found him, nothing further was known. The Independent called on Alexei Sayle, whose piece started well before falling away into a list of characters, and the Times wheeled out Caitlin Moran, who seems to have written hers in a hurry. A number of people have commented to me in recent weeks that they are tiring of Moran hammering home her working class roots; I'm still a fan, but to start an appreciation "As weird, home-educated kids with no friends, I and my seven siblings..." seems a mite self-indulgent. The pops had a more straightforward time, being able to corral everything in one place. The Mail's front was a bit of a mess, but the inside spread was coherent: a brief news story, Twitter tributes, an appreciation from The New Statesman co-writer Maurice Gran and a well-rounded central obit from television critic Christopher Stevens. The Sun, too, did nicely on the inside. The square headshots of his various characters across the top look much cleaner than the cutouts used almost everywhere else. Just because the characters were manic doesn't mean the layout has to be too. I have more of a problem with the front; the headline just seems too chummy. That isn't to say it should be po-faced or unduly reverential, but it just jars. 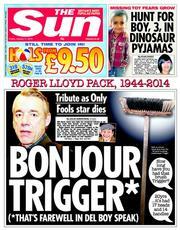 Not as badly, it must be said, as this one did when Roger Lloyd Pack died. The inside spread then was dreadful - so bad that I kept it in a drawer for months as an example of what not to do. Sorry, can't find it now! ﻿﻿﻿"Tragic Rik Mayall is pictured walking near his house, just a day before he collapsed and died at the age of 56. The Young Ones, Bottom and Blackadder star was found dead by his wife Barbara Robbin at their London home yesterday. She said the cause was a mystery. 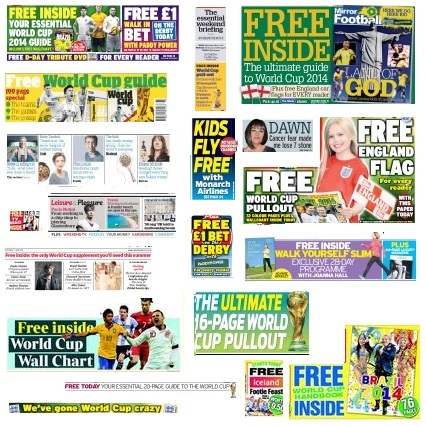 The mentions of The Young Ones and Blackadder are required, presumably, to reinforce the use of the pictures on a seriously symmetrical front page. 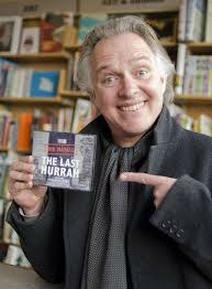 "Life around Rik Mayall was certainly never dull. 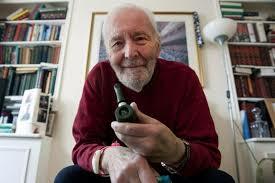 Renowned for his many over-the-top characters, he was every bit as manic in reality." So two meetings makes you an expert on someone's character. Alexei Sayle, who knew him somewhat better, says in the Independent that Mayall was a shy man. 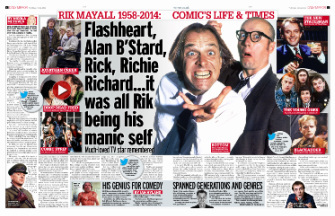 "I met him several times and he was just as fired-up with his trademark manic energy each time...but I suspect the real Rik was quite different, which became evident when he talked about his family..."
The Star kept its coverage to a splash and a page and a half inside, and it benefited from it. The front was clean - apart from the misleading 'cops called' top line - and the spread was good: a straightforward story kept tight, a brief obit, a lot of pictures and a few tweets - and the best inside heading of the day. 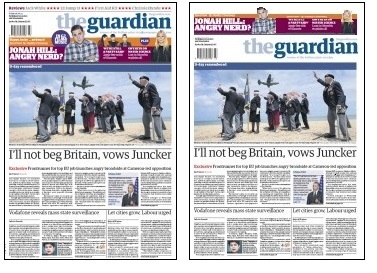 One interesting point about the coverage was the choice of front-page picture. The redtops with their deep pockets went for the dog-walking picture from Sunday, as did the Express and Telegraph. The Mail went its own way with Mayall and wife, while the more frugal Guardian and Independent went through their own and showbusiness archives to produce reflective portratis. 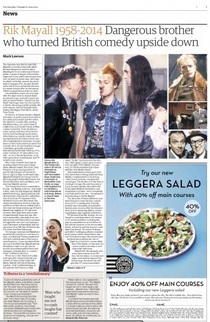 The Times alone used a picture of Mayall in character - and looked strangely wrong in so doing.